So says Craig Bardsley, head of International Development research at the UK’s Economic and Social Research Council (ESRC). At INASP we couldn’t agree more. This is why on 28 June we’re organizing a seminar dedicated to exploring how UK universities can maximize their development impact through the new Global Challenges Research Fund. 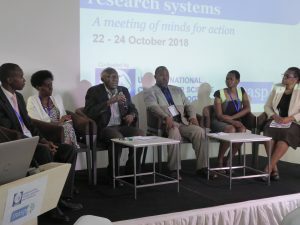 As Craig suggests, research can contribute to development in several ways: in new knowledge – through rigorous and excellent research; in asking questions of development policy and practice; and in building the capacity of developing country academics and others to undertake research in the future. Impact is far from easy to achieve. 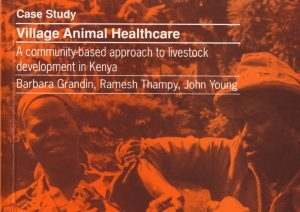 But by careful and thoughtful design, engaging Southern partners from the outset – academics, policymakers, practitioners and communities – UK research can contribute to lasting change in poor countries and communities. There are several common pitfalls though. Often policy engagement means an end-of-project dissemination event or report, misjudging the cycles and needs of decision makers – and, even more fundamentally, the questions they want to answer. Capacity development often translates into a few add-on workshops that help individuals to develop skills but don’t leave institutions stronger or able to train others in future. And Southern partners are often given the job of data collection but not fully and equally involved in deciding questions, research design and analysis and ultimate publication. On 28 June we’ll be joined by colleagues from the INTRAC, LSHTM in a series of panels to explore how impact can be achieved through three broad routes. Clara Richards will bring insights into understanding and engaging with Southern policy processes, understanding demand and developing effective research uptake strategies. Rachel Hayman will consider how to ensure civil society is an active partner, and that research addresses real needs. Annelise Dennis, Hazel McCullough, Jennifer Chapin, Andy Nobes and Aline Filiot will all look at different ways in which capacity development can ensure lasting contributions to Southern research and knowledge systems. Underpinning any aspiration of impact must be a genuine partnership with Southern colleagues, which is why we’ll also hear from Flora Fabian from the University of Dodoma, who will outline what she and colleagues in Tanzania look for in partnership – and offer her reflections on what’s worked well – and not so well – in prior collaborations. Craig’s piece is one of several in The Impact Initiative’s excellent collection ‘The Social Realities of Knowledge for Development‘. It is well worth a read for anyone wanting to understand how research can maximize its contribution to critical social, economic and environmental issues, with insights into the vital importance of co-conceiving and co-designing projects to match the cycles and demands of policy-making processes, and the needs of practitioners and communities who can put knowledge to use. As INASP’s Emily Hayter recently reflected, there are a number of power dynamics that continue to affect this contribution, and at INASP we negotiate and reflect on these issues constantly in our day-to-day work. Interesting in hearing more? 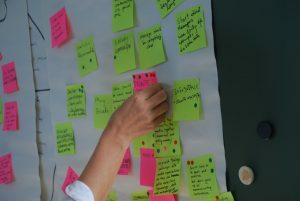 Our Co-creation, capacity development and policy engagement Seminar, 28th June, Oxford will be an opportunity to discuss some of these issues in more depth, to share ideas and experiences. 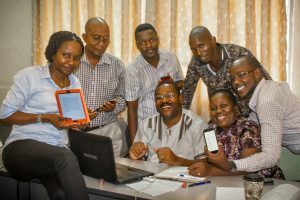 We welcome research leads, PIs and research coordinators who want to do something different as they approach new funding calls such as the GCRF. For more details, visit www.inasp.info/seminar.